With over 4 million customers, Betfair is the largest online betting company in the UK and the largest betting exchange in the world. When Betfair entered the online poker market in the UK, they looked for a way to attract new customers, and offer poker training to their current loyal customers. Betfair turned to the patented software from Advanced Poker Training. 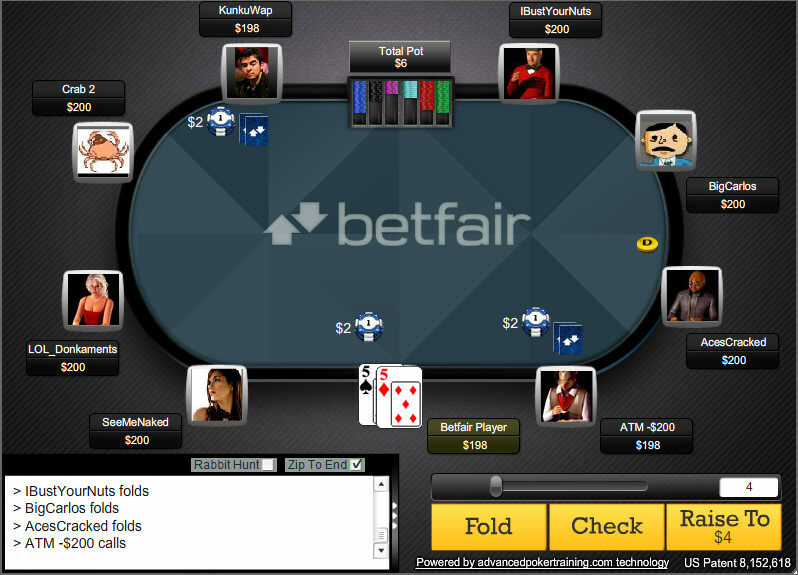 The redesigned software, shown below, allows Betfair customers to practice against the best artificially intelligent poker opponents in the world, thus further separating Betfair.com from its competitors. Founded in 2000, Betfair is traded on the London Stock Exchange with a stock symbol of BET.